Our vast experience coupled with stocks unequalled anywhere in the UK makes Cable Services the only choice for Low Voltage Cable Jointing products. We are distridutors and stockists of a wide range of resin and heat shrink joints which are listed on our main website. 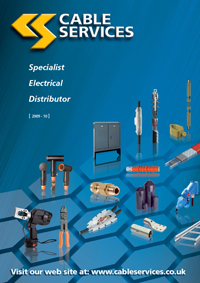 This micro site is a resource for specific manufacturers information on the range of lv cable joints we supply and provides in depth information and specifications.